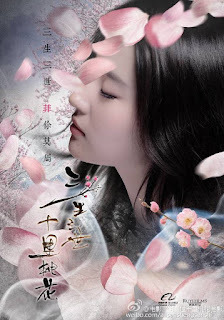 Based on a novel by Tang Qi Gong Zi 唐七公子 (writer of Hua Xu Yin), Three Lives Three Worlds Ten Miles of Peach Blossoms 三生三世十里桃花 tells the tale of a romance spanning three lifetimes and Crystal Liu and Yang Mi will star as the lead in a movie and drama adaptation, respectively. Undisputedly two of the most beautiful actresses in Chinese entertainment, Crystal Liu (born 1987) and Yang Mi (born 1986) are often typecast into the same roles especially if said role requires someone who looks like an ethereal goddess. Is it any wonder that they have been acting in similar characters as early as 2005? 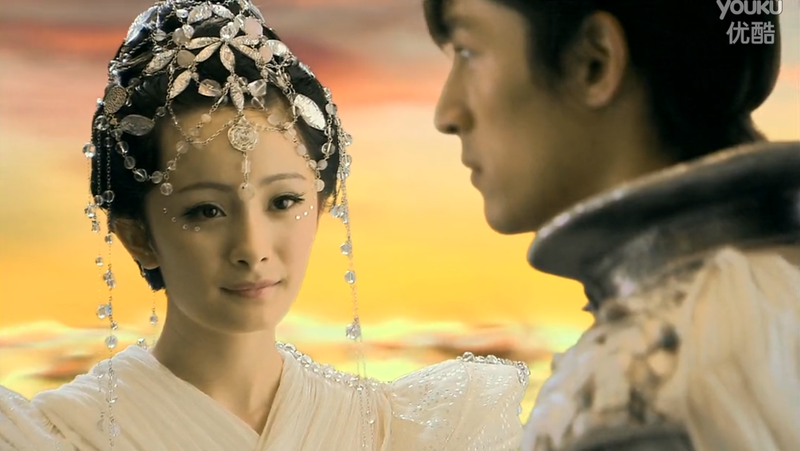 Crystal Liu Yi Fei got her big break playing Ling Er in Chinese Paladin 1 and four years down the road, Yang Mi clinches the role of Xue Jian in Chinese Paladin 3, also opposite Hu Ge. Yet the similarities don't end there. 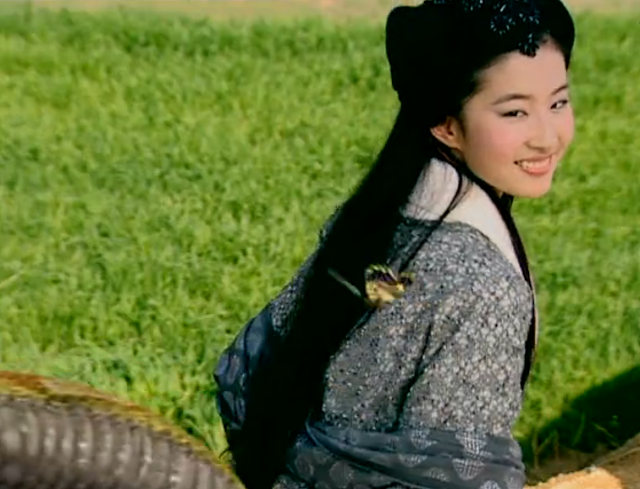 Back in 2004, Yang Mi portrayed the titular role of Xiao Qian in the drama version of A Chinese Ghost Story while Crystal Liu Yi Fei headlined the 2011 movie version of the same. They're not always pitted against each other though as I distinctly remember seeing them together in one of my favorite wuxia series titled The Return of the Condor Heroes with Crystal Liu as Little Dragon Lady (Xiao Long Nu) and Yang Mi as little Guo Xiang. 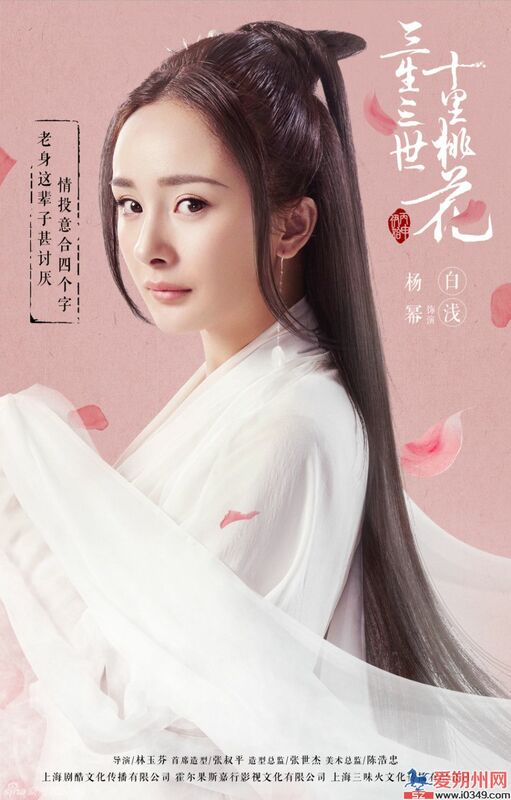 We LOVE and ADMIRE YANG MI to the end and fortunately, she portrayed Bai Qian Perfectly in "Ten Miles of Peach Blossoms"...Crystal Liu is lovely too and we hope her portrayal of the movie version will be great as well...No comparison needed..They are both hard working actresses..